Jack Nicklaus 1993 27 72/36 7065 40 minutes from downtown. 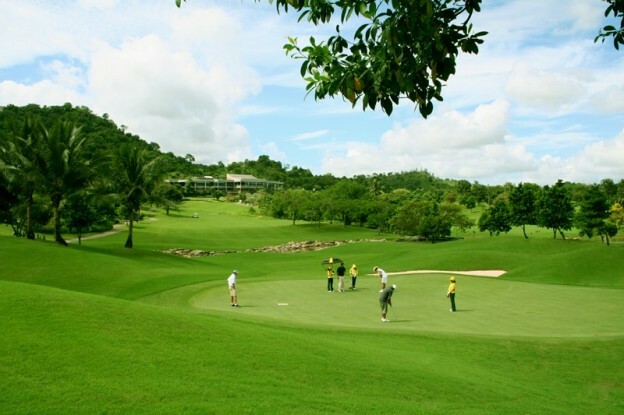 At Laem Chabang International Country Club you will enjoy the feeling of being close to nature when playing the Championship golf course designed and recommeded by the world famous golfer Jack Nicklaus. The rolling hilly landscape of the surrounding countryside have been used to great effect while many professional hazards will challenge your skills reaching the large and elevated greens. The clubhouse at Laem Chabang International Country Club and its facilities are of five star standard with generous locker rooms and an excellent international restaurant with panoramic view of the golf course.